Blog Why Managed Hosting Is The Best Option For Your WordPress Website? Web hosting is almost like renting out space for an apartment. Except here, you fill the “apartment” with files that contain HTML, CSS and Server code of your website. Practically, hosting is the service of providing space on the Internet for websites. And what better than Managed Hosting that takes care of every inch of server optimization for a WordPress website. So what is Managed Hosting? Let’s find out. In our previous blog post on Everything You Need To Know About Web Hosting, we discussed types of web hosting, prices, how to choose the right host, some of the best hosting services out there and more! In this one we decided to write about one kind of hosting that is specifically designed and optimized for WordPress websites – Managed WordPress Hosting. As the name suggests, Managed WordPress Hosting is designed and specialized for WordPress websites exclusively. Several web hosting providers have chosen to specialize in WordPress hosting due to the increasing popularity of it. Everything is Managed, you don’t have to get your hands dirty! Managed hosting is usually an extension of dedicated hosting. The required hardware is owned by the hosting provider and is leased to a single client. It differs from other forms of dedicated hosting the day-to-day management and maintenance of the servers is handled by the hosting provider rather than by the clients themselves. Their technical teams are trained to manage WordPress servers, and the best part is, these teams know the in’s and out’s of WordPress blogs. So when you are talking to their customer support for any issues, you will be getting an instant solution. If you have been searching for the right WordPress hosting providers, you probably would have noticed that prices of managed WordPress hosting are quite higher than the average shared hosting. Do you really need such an expensive solution? Well, if you’ are a small blog, then NO. If you’re a small business or own a high traffic website then you should probably be looking at managed hosting services as one of your options. We’ll tell you why! 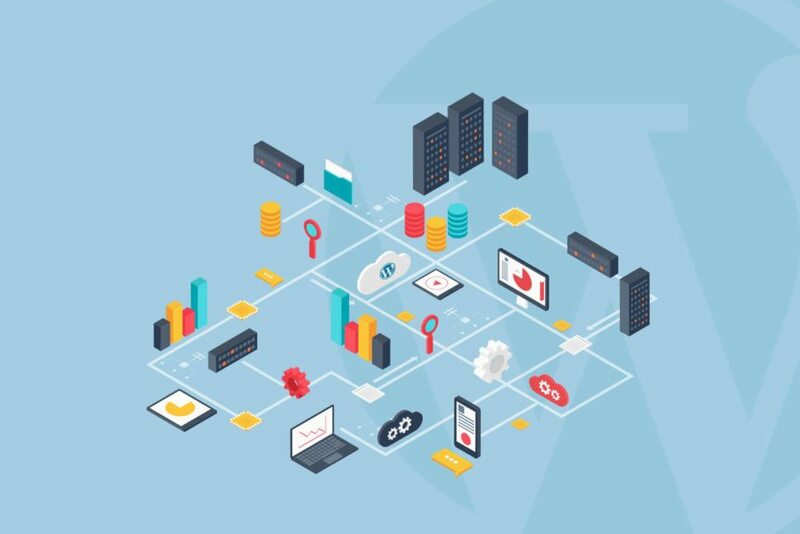 Why Do You Need Managed Hosting For WordPress? 1. Makes Your Work Easy – Managed WordPress Hosting providers will make sure that the critical WordPress platform updates, plugin updates, and other site-specific updates are immediately installed as soon as they are made available. They will also enhance it to provide you with additional security while managing the firewalls they create. 2. Support: These hosting providers also provide you with amazing customer support. 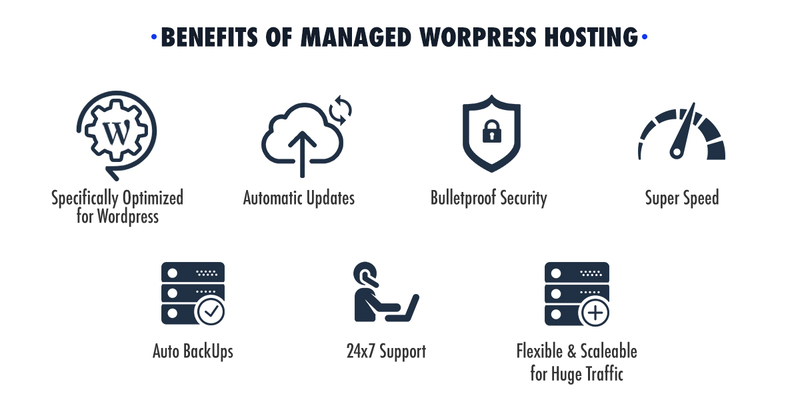 With Managed WordPress Hosting you will be able to contact someone who understands the platform really well and will be able to provide you with the help you are seeking in an efficient and effective way. It is like having an army of WordPress experts on your side for assistance. 3. Backups: If something goes wrong with your WordPress website. Let’s say your site gets hacked or the database crashes or everything on the site somehow gets lost. A normal hosting service won’t be able to help you. There’s a very high chance that you will lose everything. That’s exactly why we have stressed the importance of Backups and how to restore a backup if a Plugin causes your website to crash on our previous post on How To Restore WordPress Website Backup After A Broken Plugin Update. With Managed WordPress Hosting, you don’t have to worry about losing your data. The creation of nightly backups is commonly included with the price you pay for the service. 4. Server Monitoring & Configuration: This is the process of scanning the servers in search of any irregularities or potential failures. When done at the right intervals of time, these problems can be rectified before they develop into major issues. Managed hosting providers can offer specialist staff with the expertise to ensure that the hosting solution is initially configured to meet the customer’s requirements effectively. , to perform the necessary server maintenance to keep the platform running smoothly. No matter how much traffic your site gets, your website will probably never go down. Managed WordPress hosting servers are configured specially for WordPress. They are blazing fast even when your website gets a lot of traffic. 5. Security: Usually Managed WordPress Hosting includes virus scanning, spam filtering, firewall configuration and operating system updates in addition to standard physical data center security measures. Wary about getting hacked? Forget your worries, as we provide reliable WordPress support and maintenance services, with WPCruiseControl to keep your website secure. You are practically hacker-proof when you go with a managed WordPress hosting provider. They have a very tight security layer that actively scans for malware and blocks all hacking attempts. 6. Flexibility: Managed Hosting is a flexible solution. Hosting providers can work with customers to achieve a solution tailored to suit the budget and individual requirements of their business. And when those requirements change, managed hosting providers can react in good time to ensure that the hosting platform continues to meet those demands. 7. Reduced cost of operation: The hardware and expertise required to manage hosting in-house can be very costly; with many businesses, the cost outweighs the benefits. Managed hosting can be a more cost effective IT solution without having to compromise on suitability or control. 8. More effective use of resource: When using a Managed Hosting service, the provider takes care of the day-to-day running and maintenance of the servers and infrastructure, meaning that in-house IT staff can focus on other, more important tasks. Why Isn’t Shared Hosting The Right Choice? Shared hosting probably isn’t the right option for your WordPress website for a number of reasons. Although shared hosting is definitely more affordable than managed hosting, there is a catch to it. The accounts are cheap because hundreds (sometimes thousands) of users are put on the same server. This leads to the so-called “bad neighbor effect”. The main server, which hosts hundreds of accounts, has a fixed amount of memory. If one website exploits more than its fair share of the available memory, all the other sites hosted on the same server will experience issues because of this one “bad neighbor”. This essentially means that one troubled website has the potential to cause thousands of unrelated sites to load slowly and sometimes, not at all. What’s worse is that not only does the memory get shared, so does the Bandwidth, processing power and storage. Websites on shared hosting cannot be dependable. Due to both resource restrictions and the fact that shared-hosting environments must be able to run a large variety of applications (not only WordPress), they’re very often much slower than their managed WordPress hosting counterparts. What Happens When You Choose Shared Hosting? Backups and speed optimizations only available through third-party plugins. General security mechanisms are available, for extra security you will have to use third party plugins. No additional database optimization is available with shared hosting. SiteGround $3.95 - $11.95/month SSD drives for all plans, Enhanced performance with NGINX, HTTP/2, PHP7 and free CDN., Free SSL Certificate, User apps autoupdates, Own firewall security rules, Top LXC technology, automated monitoring and daily backup, Engineered for speed, built for security, crafted for WordPress. Managed WordPress Hosting is exclusively optimized and designed for WordPress websites. It’s the perfect option if you’re not looking to do anything by yourself. Choose Managed WordPress Hosting and let them take care of everything for you!